Love this one! Yes. Any mom who tells you they don’t have those days is lying. And I agree; you may find comfort and encouragement (and snark and pomposity) on the Internet, but you won’t find all the answers to this one. I think the answer to this one is a glass of wine at the end of the day is an episode of the good wife after everyone is in bed. Haha. Does that work for everyone? No. You just do what works for you to get you through that day. Tomorrow will be better. So true… In those moments I just want to”solve the crazy” and sometimes you just have to dance in the rain, right? In all honesty when I have these days I think of you. You are one of those moms who have it all together. You work full time, take care of 3 amazing girls, as well as a husband, find a way to get dinner on the table, bring snacks to every party, and still find energy to do the cutest diy crafts. We are all doing our best as moms even when we second guess ourselves. 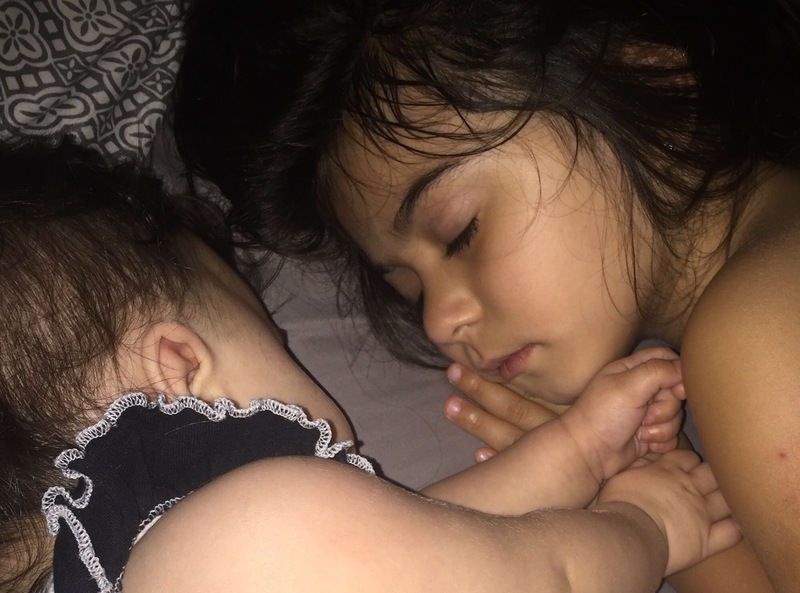 Mom life is hard, exhausting, and amazing all at the same time. As a mom to a 4 year old and a 6 month old, I have these exact same moments. Sometimes I feel like I have it all together, and other nights it seems like the house is falling apart around me. I think it’s these moments of chaos that define motherhood. I try to remind myself to embrace them because one day I will have an absolutely clean house and all the free time in the world, but my babies won’t be small anymore.